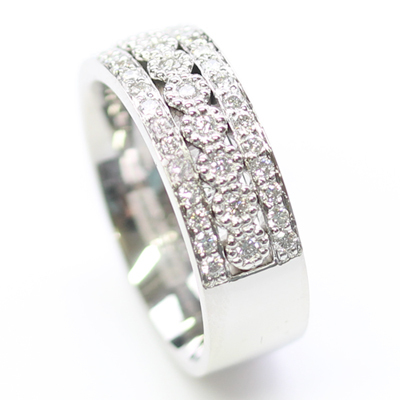 Platinum Wedding Ring with Three Rows of Diamonds — Form Bespoke Jewellers Ltd.
A stylish platinum wedding ring with three rows of stunning diamonds. 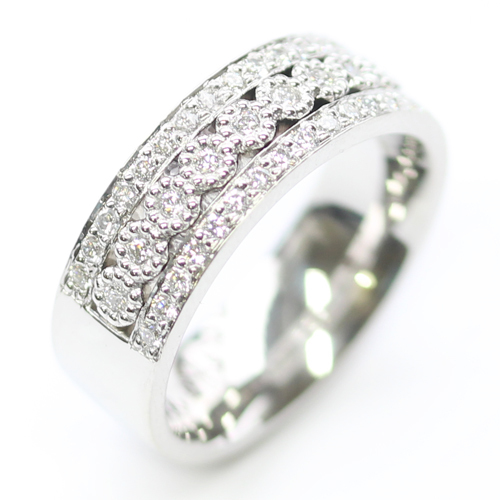 This bespoke wedding rings is a real sparkler with three independent rows of hand set, round brilliant cut diamonds. All the diamonds are of matching colour and clarity to ensure a flawless finish across the piece and have been set using a grain setting. Grain setting is when the diamonds are held in place by tiny “grains” of metal. This metal is then highly polished to give a super sparkling illusion. The grain setting in this wedding ring has been cleverly used to create a pretty flower-like detail around the centre row of diamonds. The ring was chosen to be cast in platinum to coordinate with its counterpart: a Platinum 8mm Flat Court Wedding Ring. 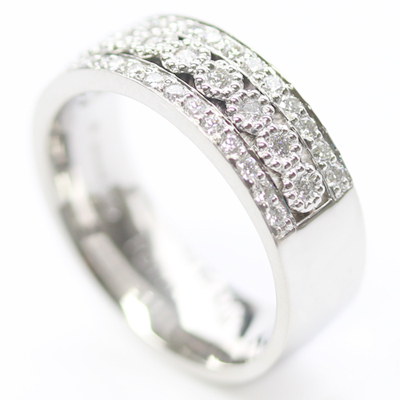 This diamond set wedding ring is part of a Platinum Complementing Wedding Ring Set.